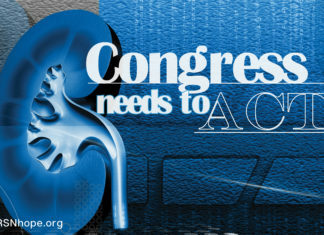 Tell Congress to Support the Living Donor Protection Act! Prohibit life, disability, and long term care insurance and life insurance companies from denying or limiting coverage and from charging higher premiums for living organ donors. Clarify that living organ donors may use Family and Medical Leave time to recover from the surgeries and procedures involved in their donation. 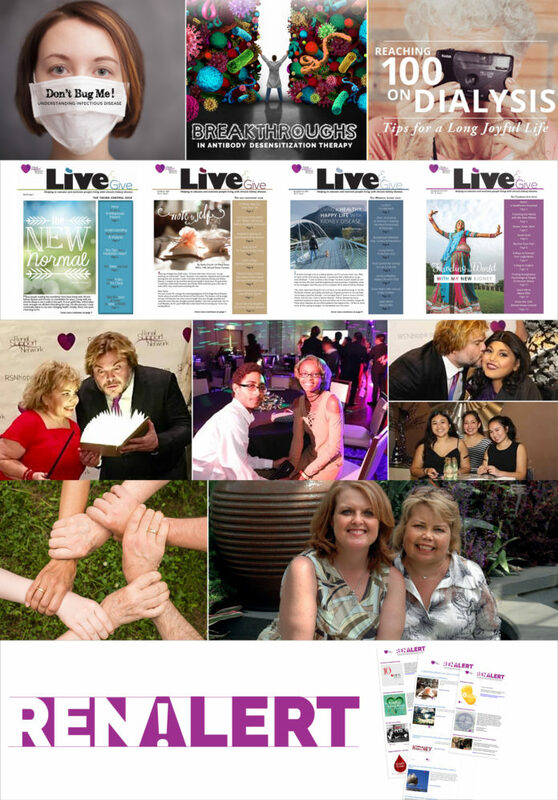 Direct Health and Human Services to update their materials on live organ donation to reflect these new protections and encourage more individuals to consider donating an organ. The California Living Organ Donation Bill AB 1223 was introduced by Assembly member Aguiar-Curry. This bill makes significant improvements to existing living donation law. 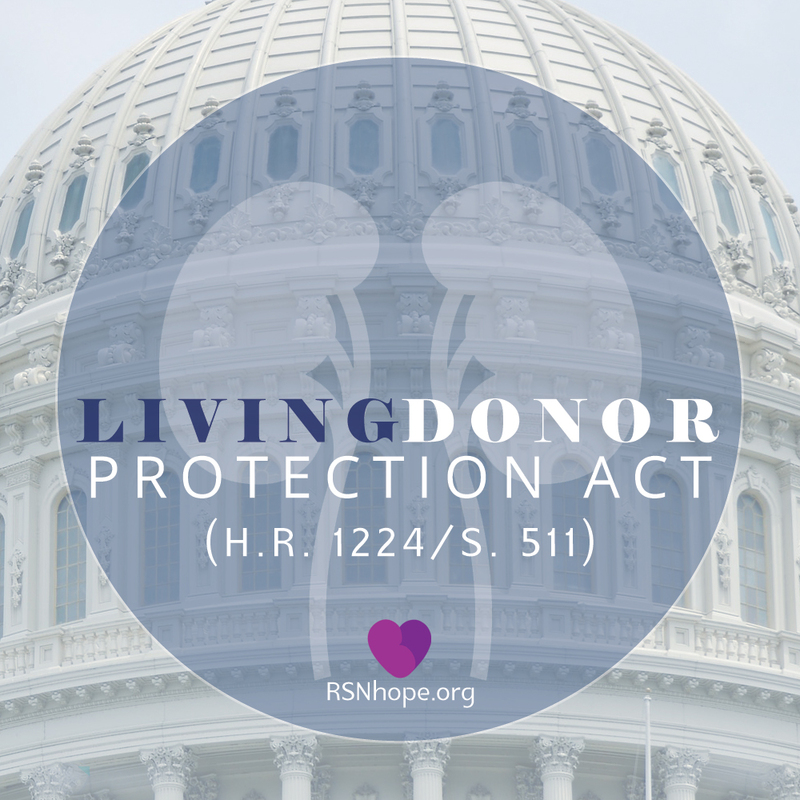 This bill would require a private or public employer to grant an employee an additional unpaid leave of absence, not exceeding 30 business days in a one-year period, for the purpose of organ donation. The bill would require a public employee to first exhaust all available sick leave before taking that unpaid leave. This bill would prohibit a life or disability insurance policy other than health insurance, or a long-term care insurance policy or certificate issued, amended, renewed, or delivered on or after January 1, 2020, from declining or limiting coverage of a person due to the status of that person as a person, charging a person a different rate for the same coverage, or otherwise discriminating in the offering, issuance, cancellation, amount of coverage, price, or any other condition of the insurance policy for a person based solely and without any additional actuarial risks upon the status of that person as a living organ donor. The bill would require an insurer, with respect to any health condition other than being a living organ donor, to subject a person who is a living organ donor to the same actuarial or other standards as persons who are not living organ donors.